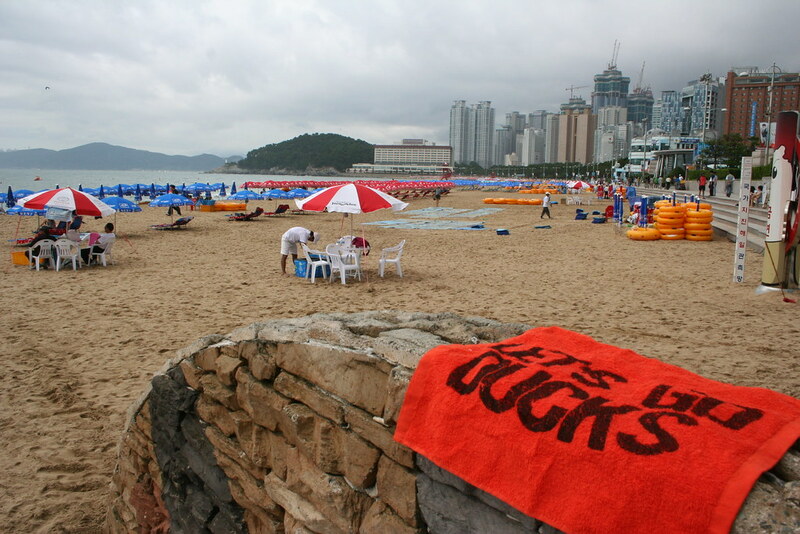 Haeundae Beach has a reputation as South Korea's best beach and contains 2 kilometers (1.24 miles) of coastline, facing the Tsushima Strait and Sea of Japan. It is the most popular beach in the country and is home to the Busan Aquarium, the largest aquarium in the country. In the summertime, this beach is one of the most crowded in the world, with thousands of people visiting daily (and as many as 800,000 people daily during peak season). The beach holds the Guinness World Record (set in 2008) for most parasols on a beach, with 7,937.